Criminal barrister Charles Holborne may have just escaped the hangman by proving he was framed for murder, but his life is now in ruins. His wife is dead, his high-flying career has morphed into criminal notoriety, and bankruptcy threatens. When the biggest brief of Charles's career unexpectedly lands on his desk, it looks as if he has been thrown a lifeline. But far from keeping him afloat, it drags him ever deeper into the shadowy underworld of 1960s London. Now, not only is his practice at stake, but his very life. Can Charles extricate himself from a chess game played from the shadows by corrupt police officers and warring gangs without once again turning to crime himself? 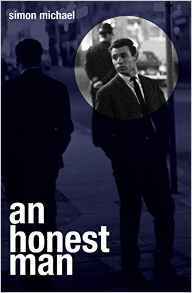 Based on real Old Bailey cases and genuine court documents, An Honest Man is the second in the series of Charles Holborne novels by barrister, Simon Michael, set in the sleazy London of the 1960s. I was introduced to Simon Michael's books by the fabulous Matthew Smith of Urbane Publications, for which I will be eternally grateful. The Brief and An Honest Man are two books that I will not only recommend to everyone, but I will read again and again. If it's at all possible, I will probably enjoy them as much as, if not more than, the first time as I read them both so fast due to the inability to put them down. Many people have said that An Honest Man is better than The Brief. I couldn't possibly say that it's better, as I thought The Brief was just the most outstanding book I have read in a long time, but it's certainly on par with The Brief thanks to the fast pace, inclusion of genuine court documents and completely riveting storyline. I love watching legal dramas and I would never have expected to get the same tension and sense of occasion in a novel, but Simon Michael has such a descriptive and dramatic style of writing that the reader gets a completely 3D experience. I visualised the courtroom with ease and I was so immersed in the story that I could have been a spectator in the public gallery or a member of the jury. I even kept convincing myself to read one more chapter by saying that I couldn't possibly put the book down as I was still in court. The story, about those accused of being party to a diamond heist, is set in the 1960's and the sense of era is outstanding with mentions of The Krays, The Profumo Affair and even the legendary outside toilet. As with The Brief, a lot of the story is set in court but there are so many other strands of the story to follow, including picking up with Charles Holborne where The Brief left off. Charles thought all his drama was over but it's only just beginning! There has been a recent Twitter promotion for a book with a #WTFthatending hashtag. 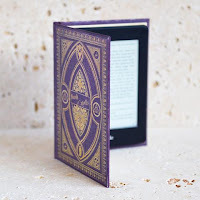 An Honest Man could take a leaf out of that book with a hashtag of #OMGthatending as my jaw dropped, then my heart sank in despair as I realised that there were no more pages left to read. I was enjoying it so much that I didn't want it to finish and I'm absolutely bursting to read book 3. I've read enough books to know when something special has come along, so take my word for it and pick up both of these books. You could of course read An Honest Man as a standalone novel but to fully appreciate the story and the history behind Charles Holborne, and simply because it's brilliant, you should read The Brief first. Once you've read Simon Michael's books, you'll never look at legal thrillers in the same light. The bar has indeed been raised and I don't think anyone will ever come close. Move aside John Grisham, there's a new lawyer in town.